Commentary on booze from outside the lines. In fact there are a lot of things that make up a great visit to a bar - whether it's a one time visit while traveling or another regular evening at your local. Decor, atmosphere, fellow patrons all have a part to play in determining a memorable and relaxing time. As I contemplate a relocation from one side of the world to the other and leaving my beloved local behind, I am realizing once again how important the bartender is above all of the other things that make up a great bar. 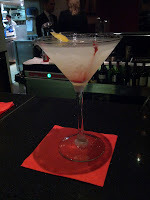 It might be because she is a master mixologist, the Ferran Adria of cocktails. It could be because he always remembers your name, and/or your favorite tipples. It might be because they are such incredible social engineers that they always make everyone in the place feel great, and happy to be there. If you are a truly worthy and fortunate soul it might be all three. A great bartender can make you forget bad decor and overlook even the stingiest of well-brands or the most industrial of taps. Even when the delivery is a little shaky or the range of the menu is small and simple, the right person behind the bar can still make you happy to be there (and it's not just the booze talkin'). If you are still with me in my stipulation of the bartender-as-key, I thought I would press my luck and share what works for me in establishing and maintaining this all important relationship as a gateway to imbibing happiness. 1) Service is not servitude. If you want to have a seriously good time it's very important that you not view the bartenders as indentured servants or as a species lower on the evolutionary ladder than you. 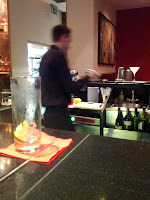 You have your areas of knowledge and expertise and so do bartenders - which is why, after all, you are here. Sure, there are places with service so crisp that beverages appear and empties disappear as if conjured into and out of the ether, and interaction is limited. You still should not view the staff as lesser beings, and even the most modest signs of mutual respect are usually noted and appreciated. That appreciation can be astoundingly delicious. 2) If you like something, don't be afraid to say so. When you get an especially good version of an Aviation, or a Sazerac made with an especially interesting rye you should by all means provide positive feedback. Simply showing that you appreciate the quality of what you are drinking is a great way to make sure the quality keeps coming. Subtle appreciative nods or mmm's and ahhhh's can send the signal that you like what is being offered, and can get the bartender to pay attention or even up their game as the evening goes on. If you have the chance to provide a more detailed critique, this sends the signal that you are a force to be reckoned with, and your palette is mighty. Which ups the game even more. Likewise, politely letting a bartender know that they might be heading in the wrong direction is definitely ok - they don't want to make anyone unhappy, and it helps them to re-calibrate back towards the happy side of the street. 3) Dealer's choice is often very rewarding. Bartending in many places has become a form of cuisine a la minute, and bartenders have become like chefs in building their own bitters, syrups, and infusions. Giving the bartender the chance to improvise and create something on-the-fly allows them to use and demonstrate their skills at the highest levels. Then you get to drink it. It signals that you recognize their talent and that you trust them to deliver something unique and frequently amazing. Even simple beer and wine bars have become not-so-simple and offer enough selection these days that you can defer to the skill of the publican, and ask them for something a little different - that odd Dunkel that you had not thought of trying yet, or the British Columbian Pinot Noir you had never heard of. If you don't want to drink the same thing all the time, and you want to discover new things, allow a native guide to lead you. These are by no means all of the secrets to having a great relationship with your bartender, but if you try to follow these guidelines, it's more than likely you'll be on your way to having a great time and discovering some new things along the way. If you have a favorite method of cementing a strong relationship with your bartender, please share! If you enjoyed the earlier post about cepage and families (varietals) in wine, or just wanted to go a little further with the idea, you should head over to Wine Enthusiast to check out a recent post on their site. 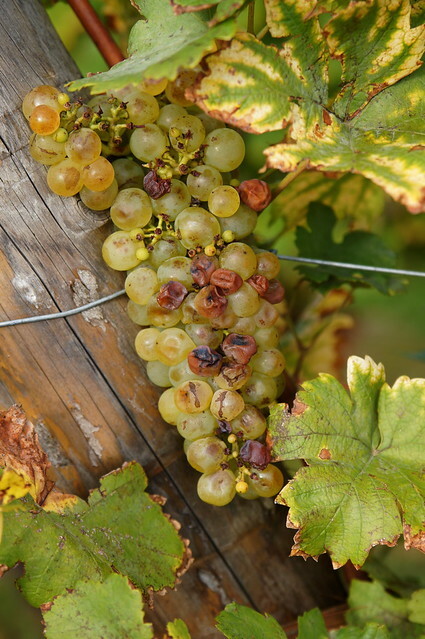 The post is titled "Riesling in Many Languages," and it discusses in some detail the different branches of the riesling family in Germany, France, Austria, parts of the US, and New Zealand. These good folks have included great info on pairing and where you might choose one over another in certain situation. The article also provides a list of "top producers," and recommendations which are of course a little subjective, but an excellent guideline nonetheless. Hopefully you're curious to know more, so head on over to Wine Enthusiast to check out the article! Yet another reason to love the French is the custom of the digestive, the strong, distilled beverage consumed at the end of a satisfying meal to aid in digestion. This can be almost anything distilled, in theory: eau de vie, grappa, brandy, Cognac, even whisky. For years I insisted on Calvados as my personal favorite, and I confess there were times when I wanted to rush through dessert and coffee to get to this delicious apple brandy from Normandy... but that's another post. On one trip to Paris we found ourselves lunching at Restaurant Helene Darroze as a splurge and treat to ourselves. I won't go into detail on the lunch – which was lovely – but at the end of the meal my eye caught sight of the trolley that often holds the treasured digestives. In this case the bottles were not the random assortment of shapes and colors I had expected, but rather were all nearly identical in shape and even labeling. Except ... each bottle bore a different year and the contents of the bottles were subtle variations of a golden caramel color. We hailed the waiter and had him steer the cart our way, and as it got closer I could see the name Darroze on the bottle. The waiter explained that the Chef and owner's family were renowned Bas Armagnac négociants, and these were bottles from the family's collection. We hmmm'd and oooo'd for a bit before crazily buying a 1960 and a 1933 glass for our digestive. 1933! Words simply cannot describe the pleasure of that silky, complex, sweet and spicy nectar. I was utterly and completely smitten, and remain so – though I still enjoy a tasty Calvados on occasion. Armagnac is made in the southwest part of France known as Gascony and is often made in a column still, rather than the pot still commonly used for making Cognac (in fact, it is specifically illegal to make Cognac using a column still). It is then aged in oak barrels, which impart the color, the tannic structure, and some vanillins to the final product. 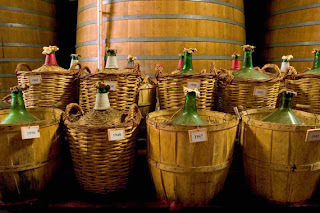 The grapes used to produce Armagnac include Columbard and Ugni Blanc, and almost all of the production of Armagnac comes from a number of small estates and houses – hence the value of the clever and hard-working négociant. Armagnac is also still considerably less known (and therefore less expensive) than its Cognac cousins. 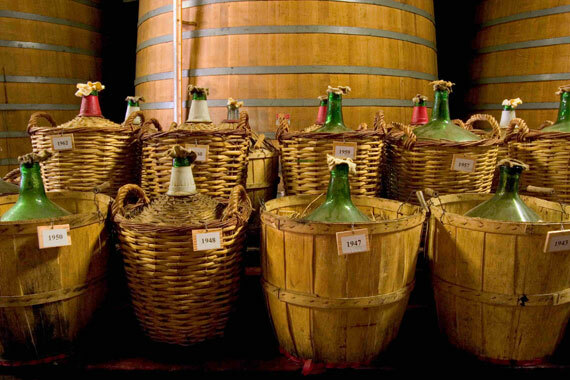 Armagnac is thought to be the oldest of all the brandies and eau-de-vies, given its location in the part of France that first saw the import of wine cultivation and the making of "brandy wine." The distilled spirit is also thought to impart considerable health benefits, though maybe not quite as broadly as the 14th century Cardinal who credited Armagnac with being a treatment or cure for hepatitis, gout, cankers, paralyzed joints, senility, memory loss, and lack of wit. A recent study by the University of Bordeaux did seem to indicate that Armagnac in moderation may have a positive effect on heart disease and obesity, and it's worth observing that Gascony has some of the lowest rates of heart disease in the world. 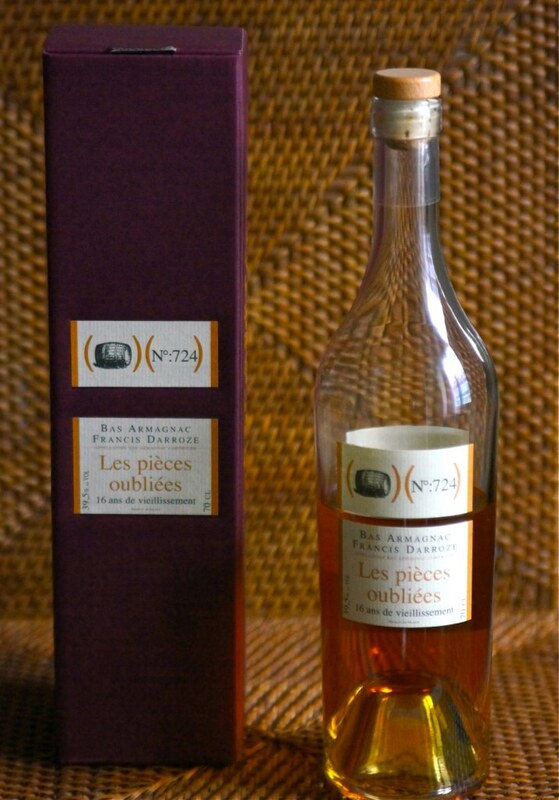 I'm still in the bloom of my love of Armagnac and confess that though there are other négociants I am predominately familiar with the Darroze family's labors. A recent visit to Paris brought me face-to-face with a blended 16-year-old Darroze label titled "Les Pièces Oubliées," or, 'The Forgotten Rooms." It's not a king's ransom, or a house payment, to purchase this treasure yet the delight the contents of a bottle will bring you could persuade you that it's worth that. All that I said above – silky, spicy, sweet, with toasted pecans and caramel, a faint hint of nutmeg, and a very smooth but welcome warming on the finish. A blend can be built rather than trusting to aging and initial composition for all of the results, and this is a very well built blend. There a lots of ways to discover Armagnac, from your local French bistro to your favorite watering hole. (I am working up the nerve to try an Armagnac Sazerac one of these days - far from being a waste of good Armagnac, there is a strong chance that originally Sazeracs were made with Cognac and Armagnac, until phylloxera cut production and it was replaced by rye.) There's even a great little shop in San Francisco that will let you join an "Armagnac Inner Circle" and receive one Armagnac per month, though you should get clearance from your accounts manager before committing. I cannot recommend the practice of taking a digestive at the end of a special meal highly enough, and while you have many choices of what that digestive should be, I encourage you to at least sample a delicious Armagnac – you owe it to yourself. I likes me a Gin & Tonic. I think I always have, back to when I could barely drink one legally. Actually, I generally like gin in all kinds of ways. A gin that I am particularly fond of these days hails from the Black Forest of Germany, Monkey 47. I confess right up front that I like big, bold, super-aromatic, spicy gins. (According to friends this places me in accord with Monkey 47's distillers.) Another sign that God loves us and wants to see us happy is the advent of artisanal tonics - not the extremely sugar-heavy commercial stuff, the artisanals offer really interesting and complex companions for their alcoholic partners. So, here I am, at my favorite watering hole in Zurich, the Kronenhalle. 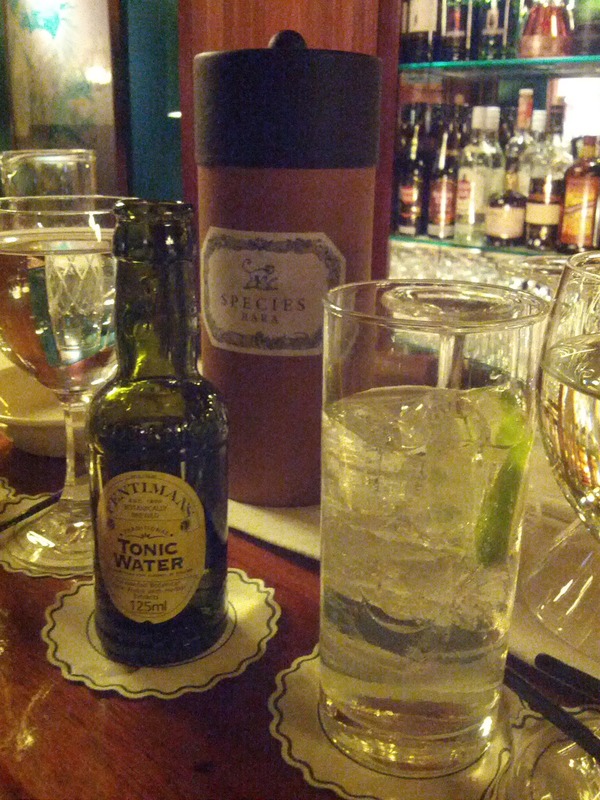 Our beloved bartender is adamant that I should try the Distiller's Cut Monkey 47 with a Fentiman's Tonic. I confess to sometimes jump-starting festivities with the extremely potent Vesper, but I suspend my doubts and follow the mixologist's suggestions. I never expected the mix of the two, a version of the pedestrian Gin & Tonic, to be so overwhelmingly, so mind-blowingly delicious. The potency of the gin combined with it's assertive botanicals combined with a tonic that is nicely bitter and citrusy without being cloyingly sugary was a combination like nothing I have ever had before. 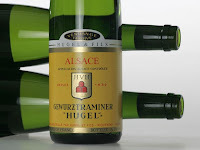 It is refreshing, it is strong, it is complex on the palate, and very, very satisfying. Grabbed a bottle a little too quickly form the cellar, not realizing what a gem I'd taken from the treasure trove. Decided on something else with dinner, we kept this little beauty aside until we were all done packing for a trip to Paris. Sat down, poured a glass, and were transported away entirely. The vendage tardive is a late harvest, and this particular grape, from this particular winemaker in Alsace, is absolutely transcendant. Yes, it's powerfully sweet, but let it rest for an extra second on your palette and an amazing pageantry steps out from behind the honey and raisin flavors. The age becomes this complex tapestry with visions of the vines on their Rhine valley hillsides basking in the sun in the summer of their lives, and then shivering slightly in the cold of the autumn, passing through their entire life well into old age before they join their ancestors in the winery. Gewurtztraminer is not to be missed, and you would be well advised to find some room for it next to its better known riesling cousins. As a normal vendage it's fantastic with Asian foods in particular, but as a vendage tardive it is outstanding on its own as a dessert treat. It would also be lovely with a nice foie gras, or maybe a slightly sweet honey-lavender goat cheese tart. Try to not get distracted by the pointless debate on whether Scotch whisky or Irish whiskey is better - it's a an utterly ridiculous discussion as they are two totally different things. Instead, just relax and ease into the comfortable leather chair by the fire that is a good Irish uisce beatha. A very faint hint of smoke, but that fantastic up-front grain flavor that is characteristic of Irish whiskey. A bit of nut, maybe hazelnut, along with a richer, deeper, tobacco and leather scent. Cloves? Maybe...A touch sweet, a little spicy. A perfect way to end an evening, with a light rain falling on the cobblestones outside as you wrap up and stroll along the docks back to your hotel. 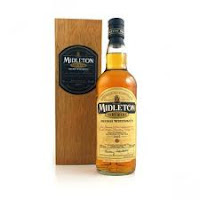 Midleton's is rare indeed outside of Ireland, so you owe it to yourself to discover its various expressions and flavors should the opportunity arise, and save the Very Rare for last. Sláinte! I first heard the term cépage as part of a particular wine release. The translation the friendly winery droid provided was "family," which as a romantic I prefer over "grape variety." I think it makes the concept easier to understand when you try to wrap your head around how the syrah in your glass from the Wahluke Slope of Washington is related to the shiraz of Australia, or the syrahs of the Rhone. I've been rather fond of late of getting to know these families in more detail, by chasing them through all of their iterations, geographies and terroirs. My goal is to find those threads that tie them together to their "relations" - what are the things that you can still identify no matter where it comes from, no matter what winemaking techniques are applied? 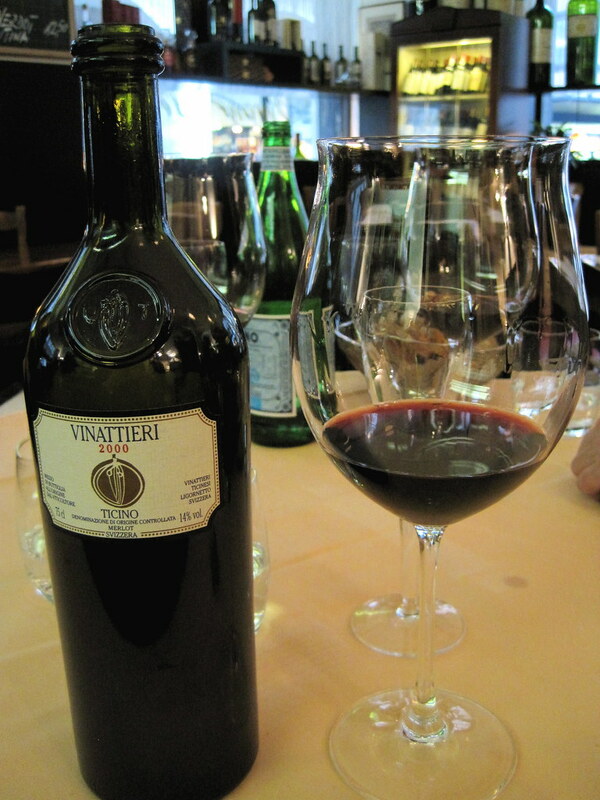 When I first tried a merlot from Ticino in the Italian-speaking part of Switzerland, I was amazed. It tasted...Italian. It tasted lean, and mean, and altogether more complex than the lush, zaftig merlots I had known before. It tasted like merlot, though, for all of its differences with my previous acquaintances. There was something there that was part of its character, that identified it as a part of its family. Granted, I had experienced merlot in the vineyard, at crush, and in the fermenter, but I think I would have been able to recognize Signore Merlot from Ticino without that level of experience. Why not get to know your wine's family better? It's high time you were introduced. Take the wines you like, the wines you are drinking, and identify what family they come from - cabernet sauvignon, pinot noir, temperanillo, sangiovese - and see if you can find other branches of the family to get to know. Maybe you'll find the mischievous cousin, the overbearing uncle, the comedian father, the flirty aunt. Families are amazing, don't ya think? Foolery, sir, does walk about the orb like the sun, it shines every where.